You know, when I sat down to write this month's Unblogged Files, I didn't think I'd have that much to write... until I started looking through my iPhone pics and realised it was one of my busiest foodie months this year! And all this is in addition to Wonderbao and my Chinese Lunch Feast. Eeep! 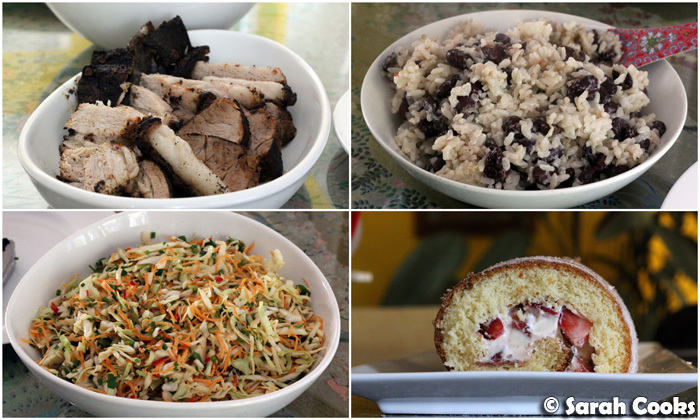 For Father's Day, I cooked a Jamaican-themed lunch for my dad: Jerk pork belly with spicy coleslaw and rice and peas. (The rice recipe comes from Nigella's Kitchen, the pork and coleslaw from the September 2012 issue of Delicious magazine). Dessert was a gorgeously light strawberry Swiss roll, filled with strawberry jam, whipped cream and fresh strawberries. So springtime! 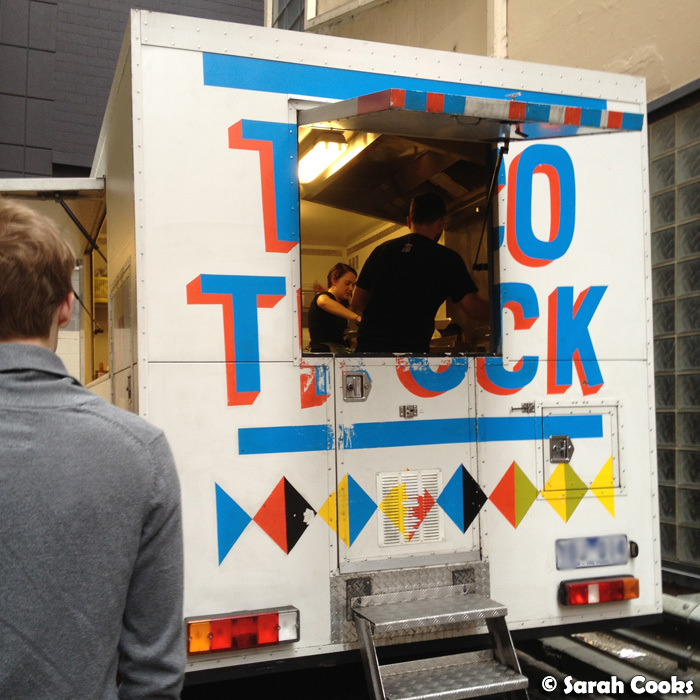 I tried out the Taco Truck when it came to the CBD one weekday lunchtime. I wasn't expecting much, but the tacos were really, really good! I especially liked the fish taco - a super-fresh fish fillet, deep-fried in a light batter and with coleslaw, lime juice and poppyseed mayo. It was so good! 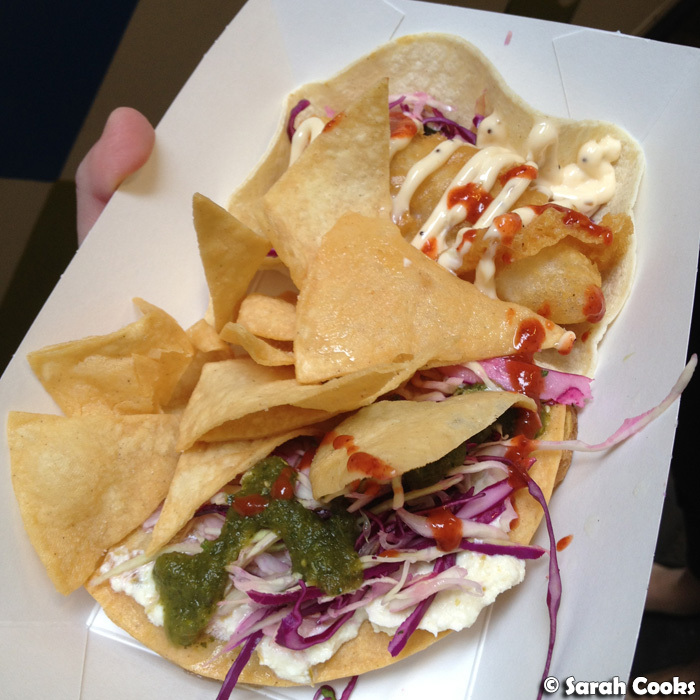 The potato tortilla, with jalapeno ricotta and salsa verde in a crisp tortilla, was also good, but the fish taco was insane! $12 was a little pricey for two small tacos with house-made corn chips, but I really enjoyed them. We went to Spice Temple twice in September for fab cocktails and spicy Chinese food - I know, addicts!! We tried heaps of different dishes, and actually, I have enough photos for a brand new blog post.. so keep your eyes peeled for that. 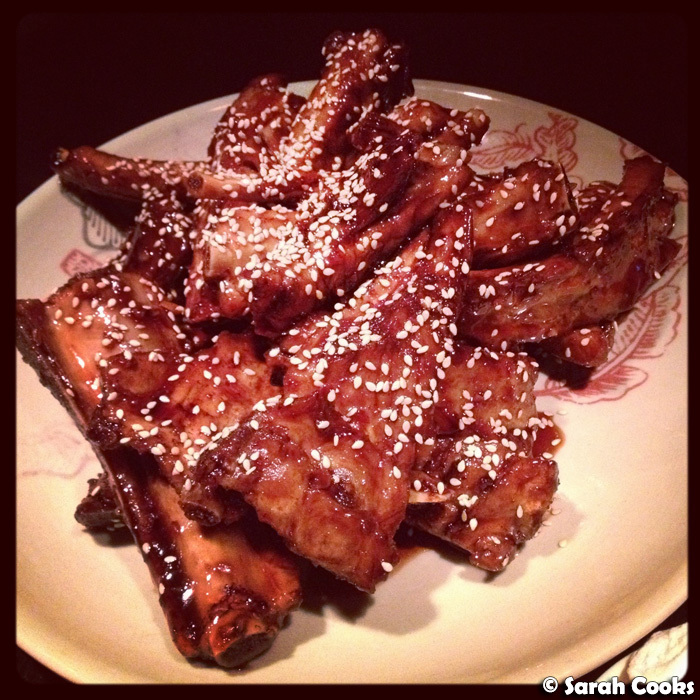 One of my fave dishes was the caramelised pork spare ribs ($22) - big, messy, sticky, juicy: delicious. 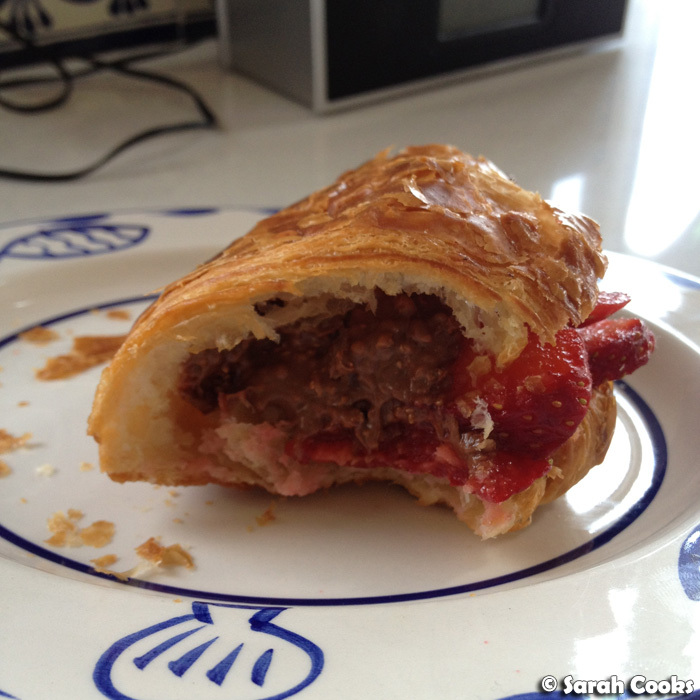 ...and of course, a crazy decadent breakfast - croissants filled with fresh strawberries and melted Lindt Cookies chocolate. 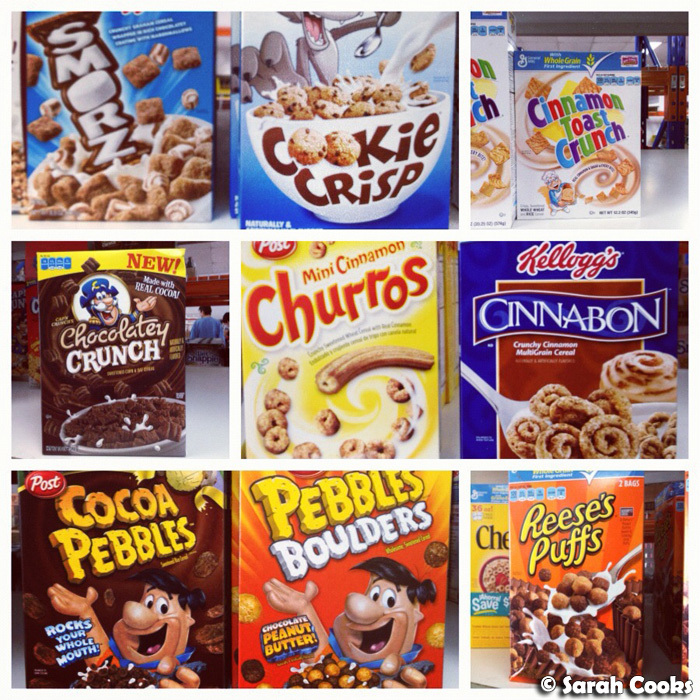 On the way home we stopped in at USA Foods in Moorabbin, where I marvelled at the sugary cereals and stocked up on tinned pumpkin. 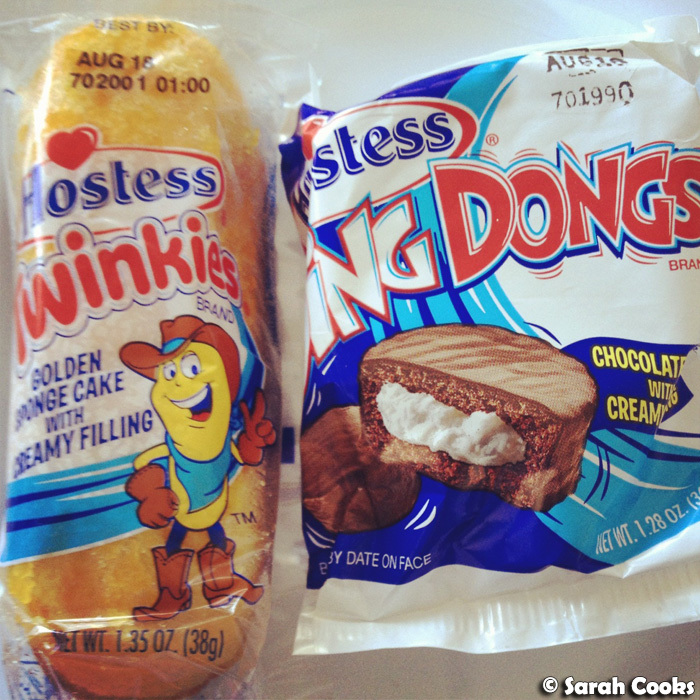 I also bought some Twinkies and Ding Dongs for the first time - I can't believe the "Best By" date is SIX YEARS IN THE FUTURE!! What on earth do they put in those cakes to make them last that long? 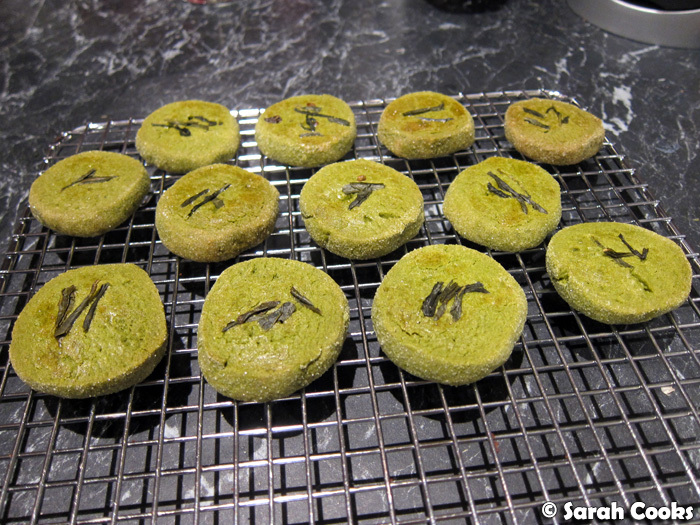 (Also, they didn't taste very good). 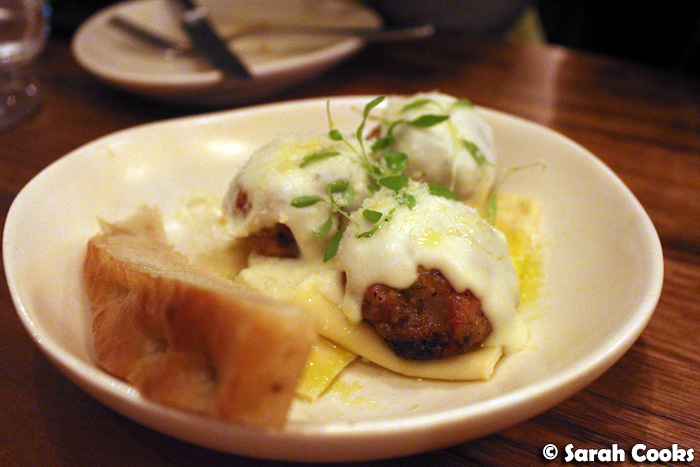 I was invited along to a blogger/media dinner at the Meatball and Wine Bar on Flinders Lane - I really liked the charcuterie, the meatballs and the aperitifs, but wasn't too keen on their Whoopie Mac desserts (a scoop of ice-cream sandwiched between two giant chewy macaron shells). For me, the highlight of the dinner were these dee-licious chicken meatballs, which had a little pop of sweetness from muscatels, served with creamy white sauce and lovely housemade pasta sheets. 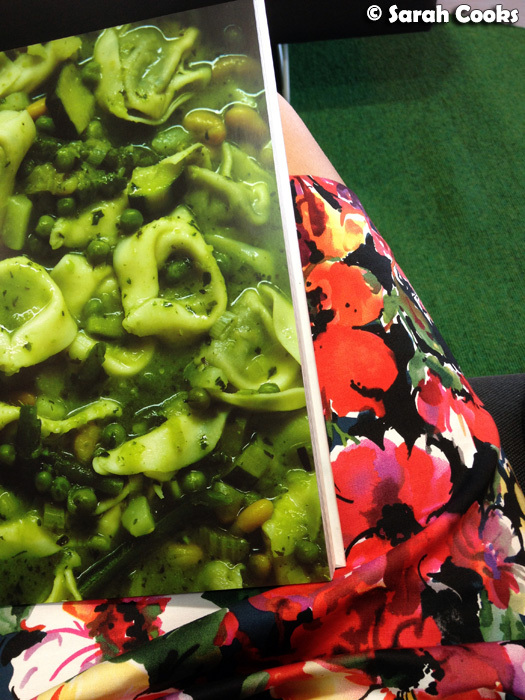 They were flat, wide sheets of pasta, somewhere between pappardelle and lasagne. Lovely! 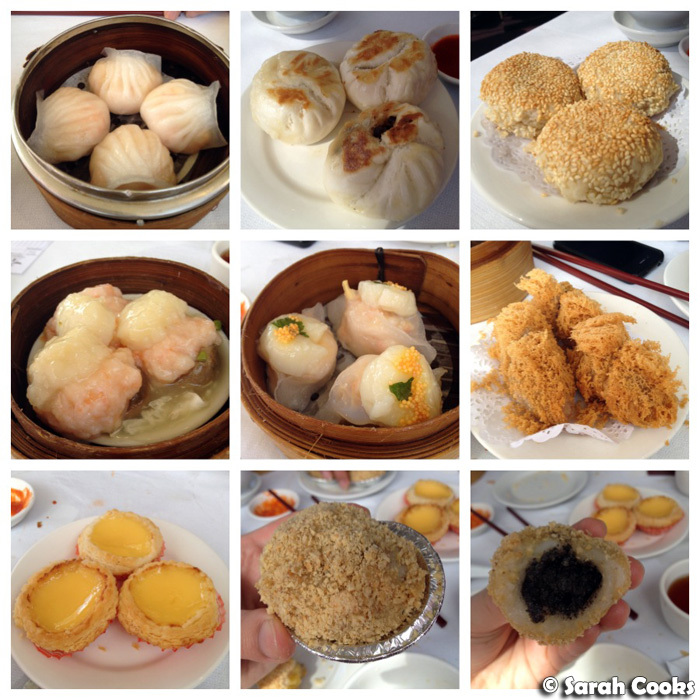 When I had a day off work, I went for Yum Cha with the parentals at Tai Pan in Doncaster East. It was great to go on a weekday - they still had trolleys, but there was no rush to get us out of there. (On weekends they're so busy that they have THREE sessions!) My faves are the har gao (prawn dumplings), the woo kok (taro balls formed in a football shape and deep fried), and the lau sar tong yeun (sweet glutinous rice balls filled with black sesame paste and dipped in ground peanuts). 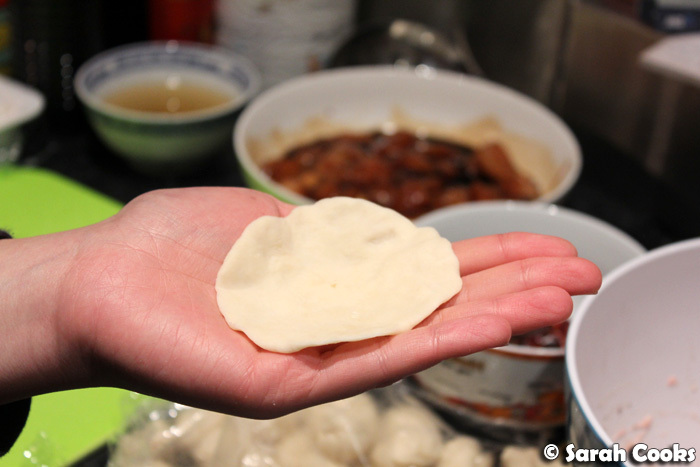 Fuchsia Dunlop has a recipe for something similar in Sichuan Cookery and Every Grain of Rice, so I wanna give them a go at home! One weeknight I made Kartoffel Pfannkuchen for dinner. 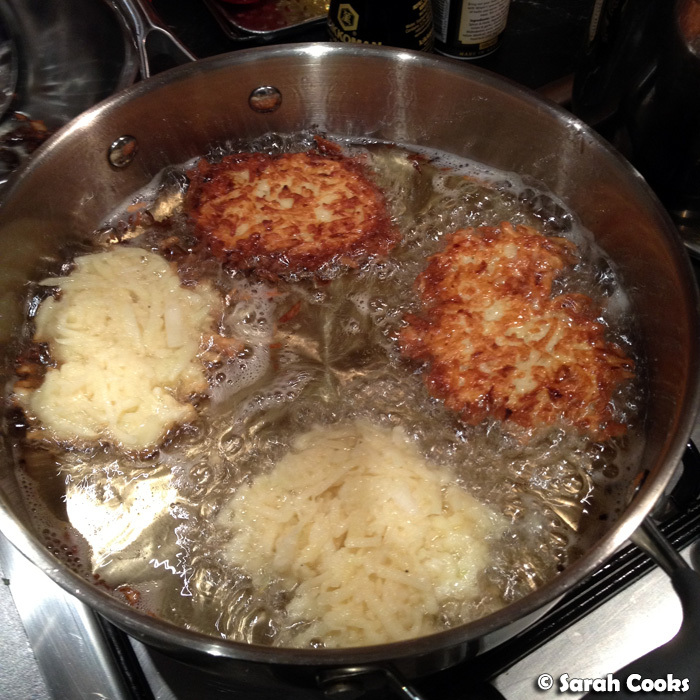 These German potato pancakes go by many names: Kartoffelpuffer, Reibekuchen, and are similar to Jewish latkes. Basically they're just grated potatoes and onions, bound with an egg and a little flour and fried. (Sie mussen im Fett schwimmen!) 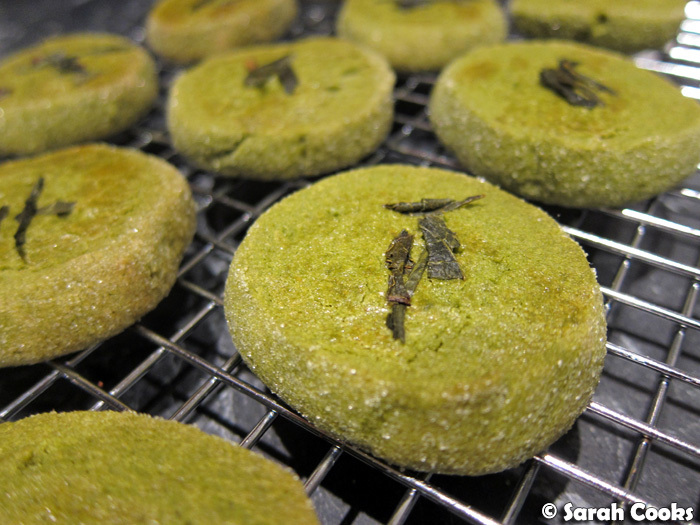 They took ages and my home and I smelled like deep-fried for ages, but it was totally worth it. I love these! 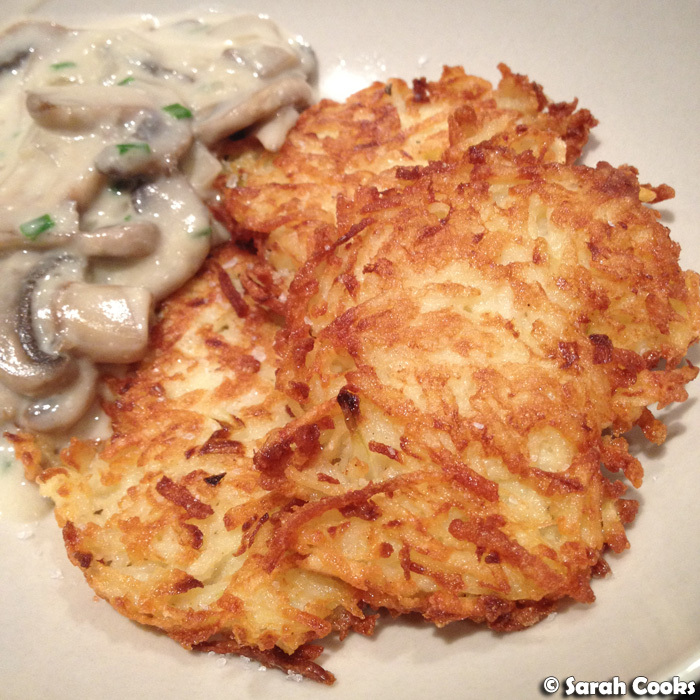 We had these with a creamy mushroom sauce, but I prefer these with sour cream and chives, and a little smoked salmon. 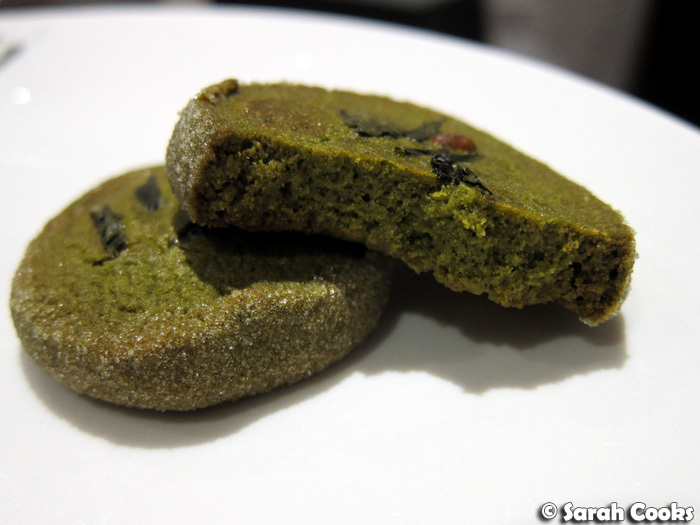 In Germany these are also served as an accompaniment to soup - all good! And just to prove that it's not a neverending parade of unhealthy food... I rediscovered DonDon on Swanston Street this month. 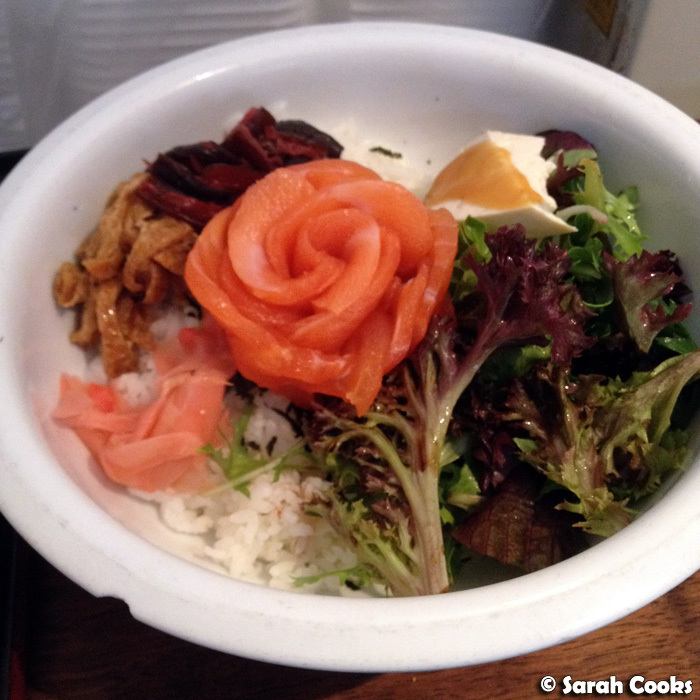 I really enjoy their SashiDon: sushi rice topped with raw salmon, pickles, ginger, two types of tofu (yeeeah!) and salad. Yum yum! 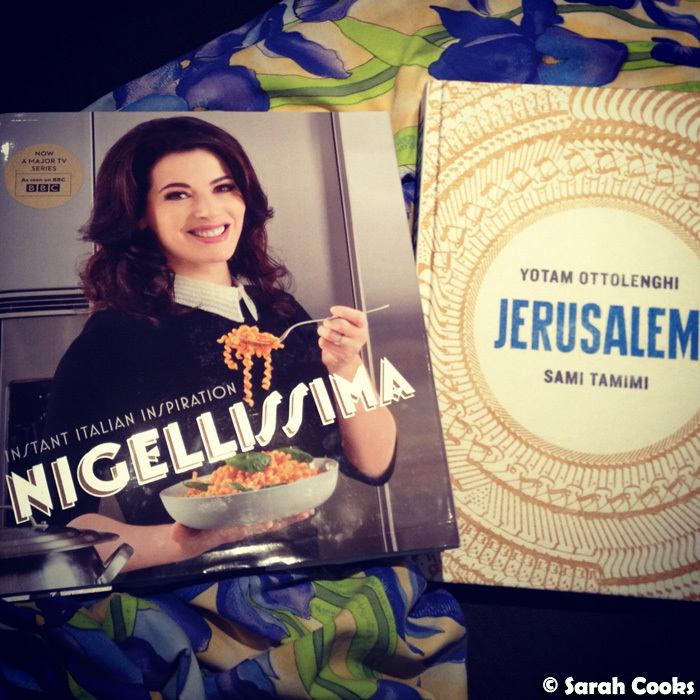 I was super-excited that two awesome cookbooks arrived this month: Nigellissima and Jerusalem! I've spent all my spare time voraciously reading these two gorgeous books! 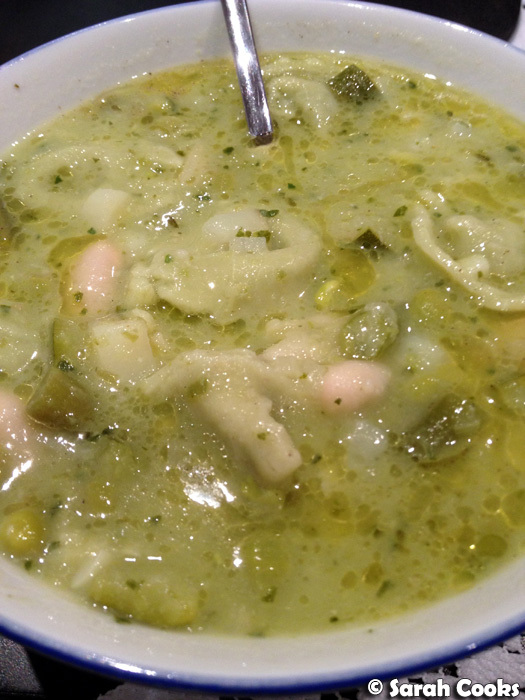 The first recipe I tried from Nigellissima was the tortelloni minestrone - a hearty vegetable and pasta soup. I didn't love this one, finding it a little starchy, (especially compared to the vibrant green picture in the book), but there are heaps of enticing recipes in the book that I can't wait to try, particularly the desserts! 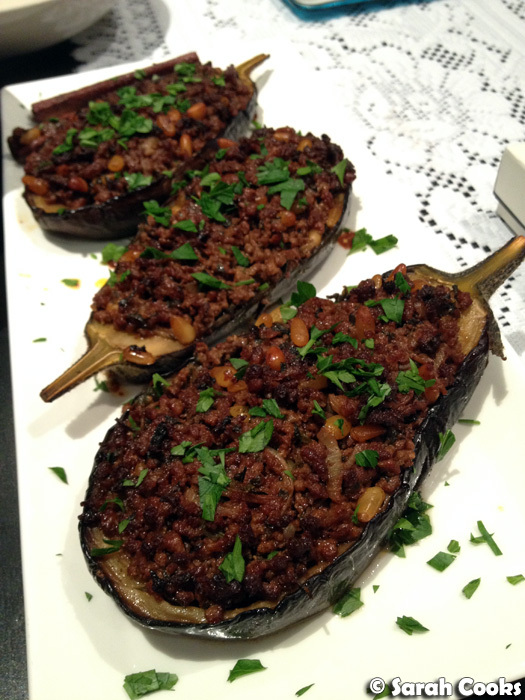 The first recipe I tried from Jerusalem, however, was unequivocally a winner: stuffed aubergines with lamb and pine nuts. 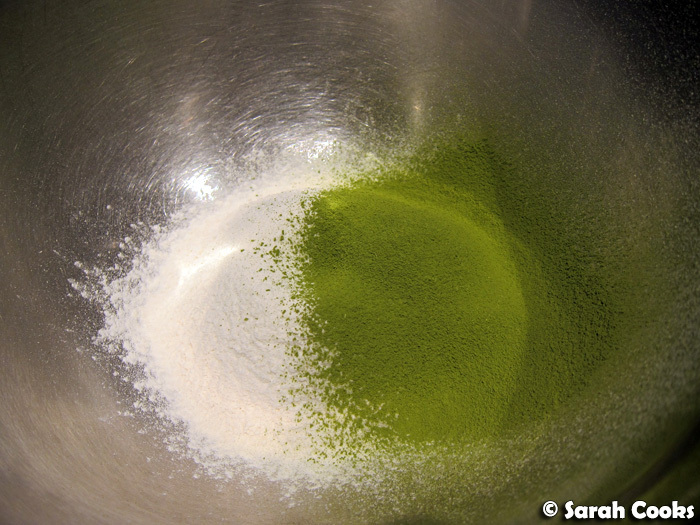 (Recipe here). Softly roasted eggplants are topped with a lamb mince mixture, studded with pine nuts, and headily flavoured with spices and tamarind. I'd planned for us to have leftovers to take to work, but it was so good we inhaled it all in the one sitting! Definitely recommend this recipe. 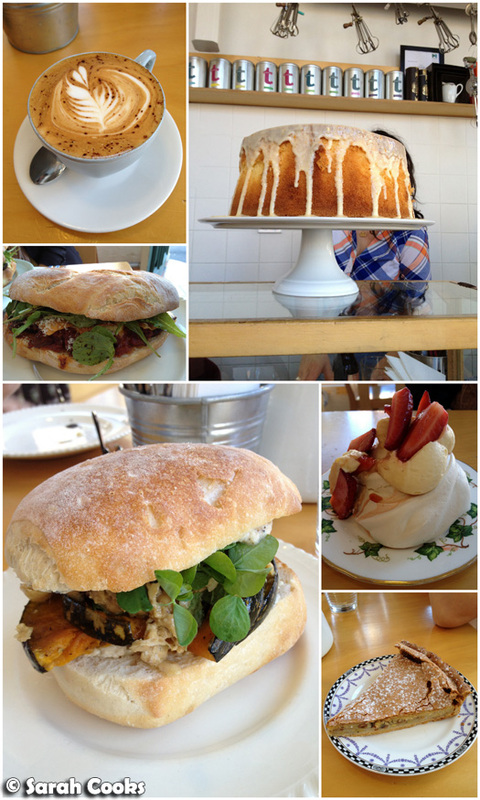 Yes, another visit to Beatrix in North Melbourne. 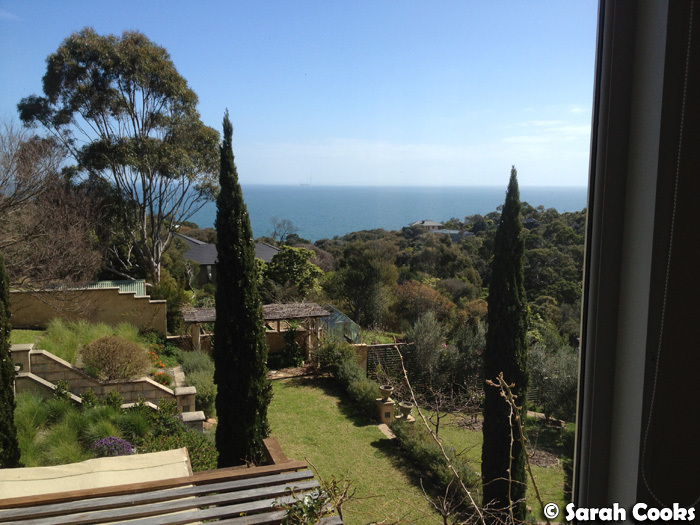 We're slowly converting all our East-side friends to this North Melbourne gem! The banana, hazelnut and nut brown butter tart was just beautiful! 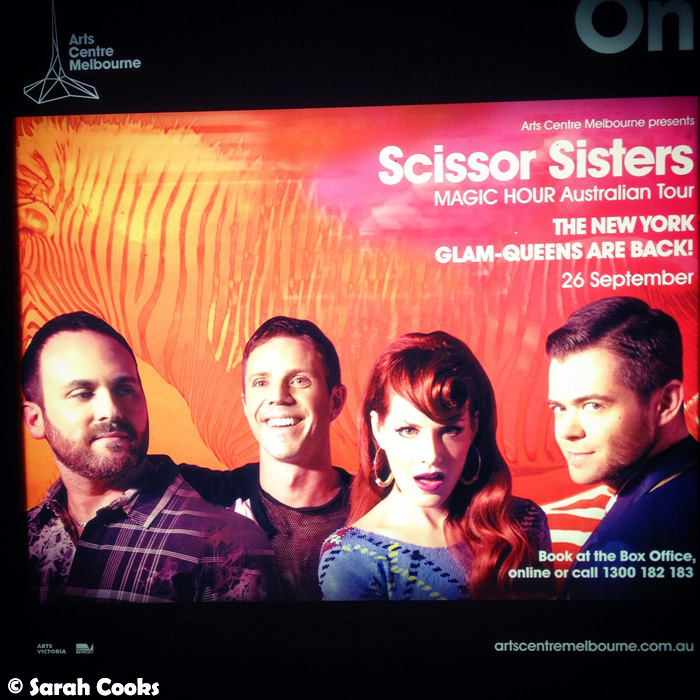 This isn't food related, but still worth sharing: we went to the Scissor Sisters' concert! So amazing! I love these guys so, so very much! It was bizarre to see them at Hamer Hall - I've previously only seen orchestras there - but I have to say they totally killed it! And it was great to see them in a venue designed for music performance, rather than where I've seen them before: in a pub (Prince of Wales), sport venue (Vodaphone Arena) or giant shed (Festival Hall). Yes, let us all have a Kiki. 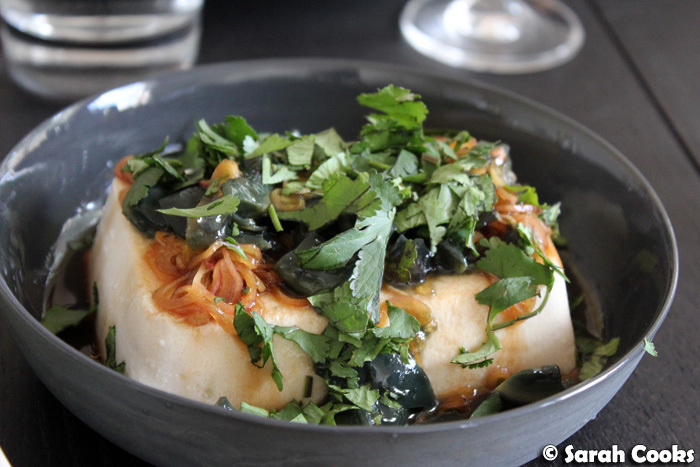 The next night, I attended a media dinner at Spoonbill (in The Olsen Hotel), to try out their new Spring menu. I greatly enjoyed it and will be blogging about it shortly, but for now I wanted to show you this beautiful little bunch of flowers that was used as a place setting. Too cute to function! 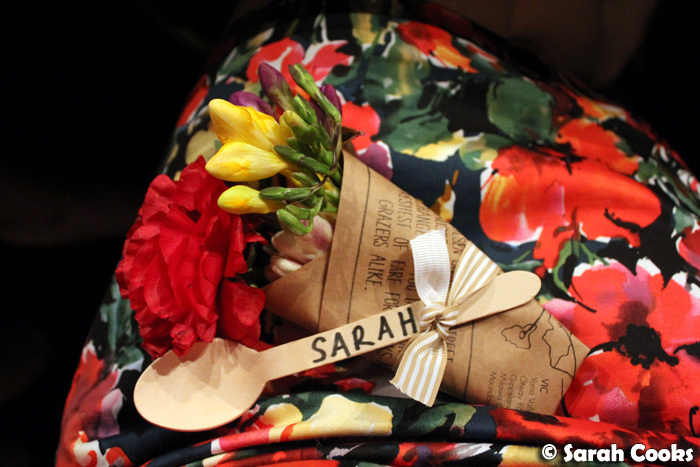 I put the place setting on my lap for this photo: I thought it was pretty cool that it matched my dress! Hehehe. 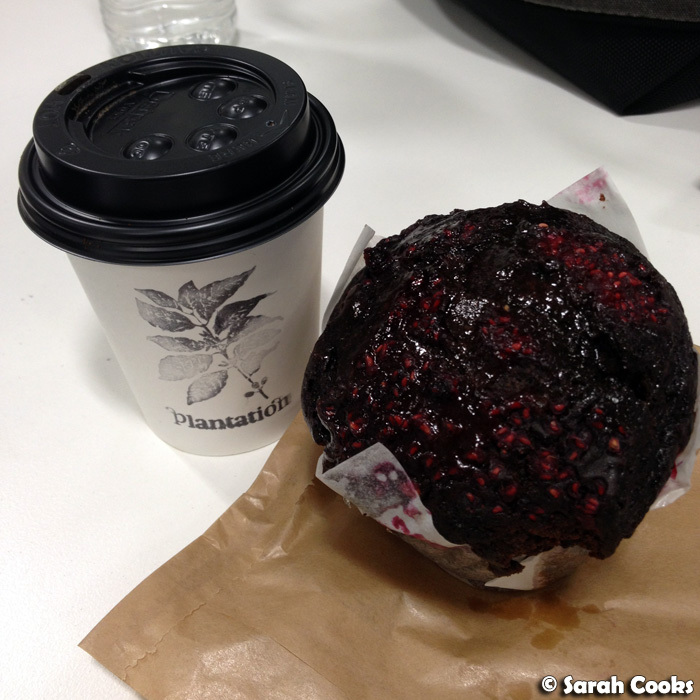 Plantation Coffee in Melbourne Central have just started doing muffins - the chocolate and raspberry ones are fantastic! Texturally they're very light and moist, but have a deep chocolatey flavour and lots of chocolate chips, countered by the sourness of the raspberries. 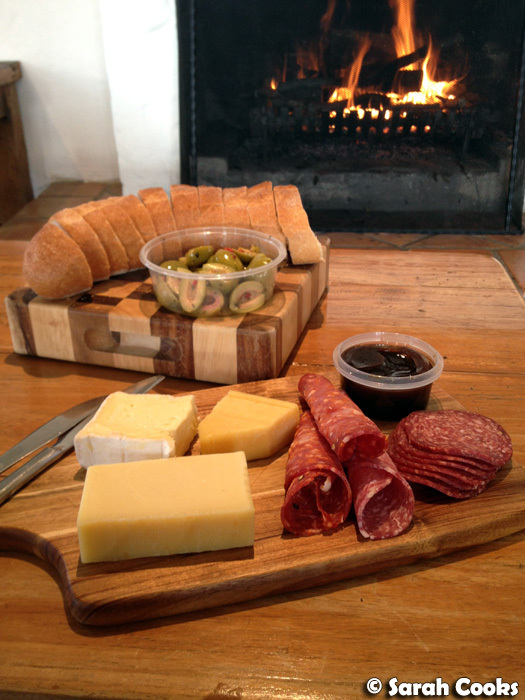 Total yum-town! Finally, today we hosted a little PORKTOBERFEST lunch with some food blogger buddies - I baked pretzels, we had two types of cabbage, bread dumplings and a roast pork shoulder. Lecker! 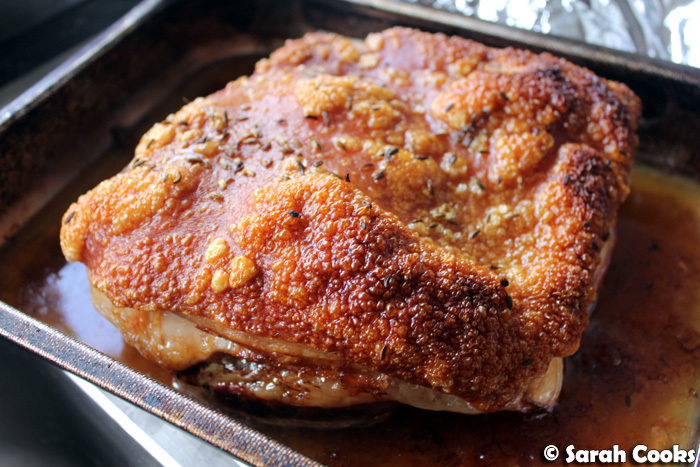 I'll be blogging it in detail soon, but for now: crackling. Hope y'all had a great September too!!! Bring on October! 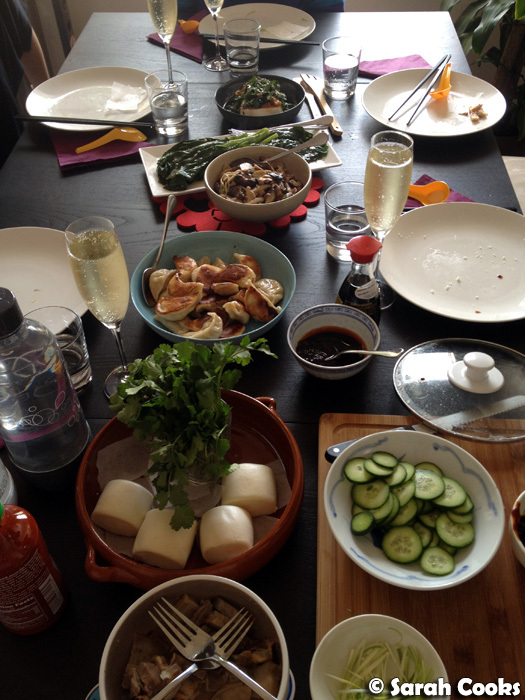 A bit of an expansion on my usual theme of dumplings, stir-fried mushrooms and stir-fried greens. Just a bit! 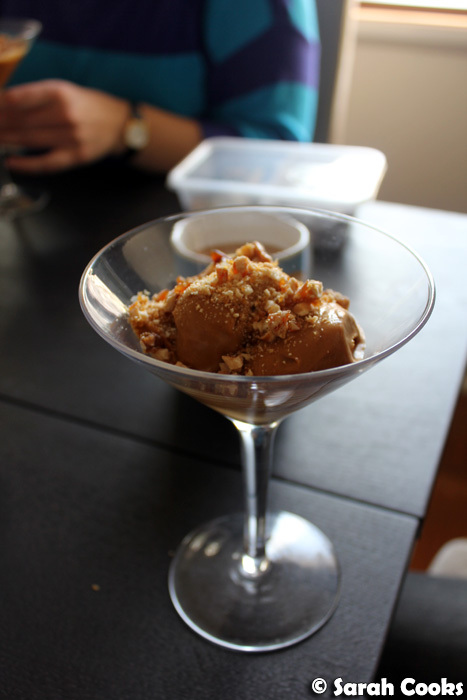 I did a lot of the preparation in the evenings the week before (buying the ingredients, making the ice-cream, folding the dumplings, roasting the pork belly), and because I was organised, the actual cooking and prep on the day was unharried and relaxed. Funnily enough, I'd planned the whole menu out, using Sichuan Cookery and online resources, and it was the day before the party that my copy of Every Grain of Rice arrived. 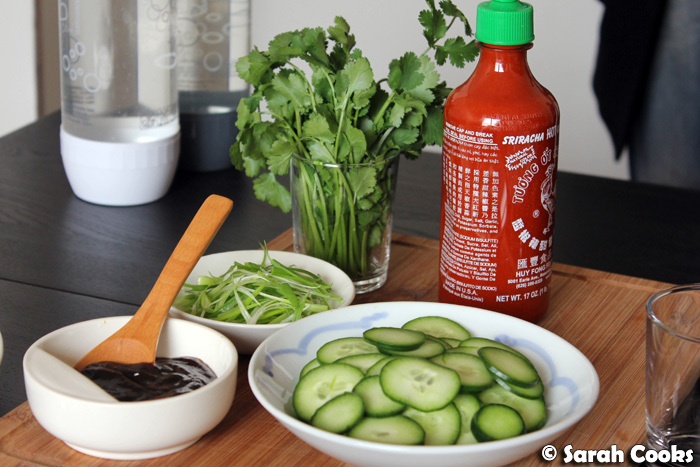 I managed to incorporate one recipe from the new book, which was the gai laan. Woohoo! 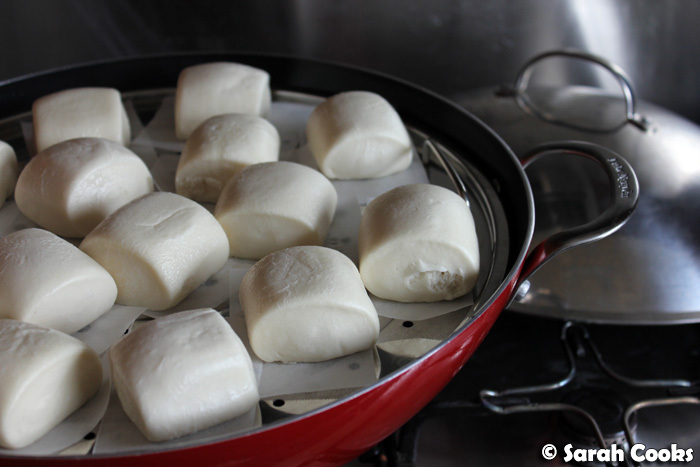 I used the Momofuku pork bun recipe, but bought mantou buns rather than making them myself. These mini-buns were $5 for a massive packet in Box Hill, and so adorable! My braised pork belly wasn't as pretty or tender as the ones in the actual Momofuku buns, but they still did the trick. But for now, let me show you each of the main dishes! 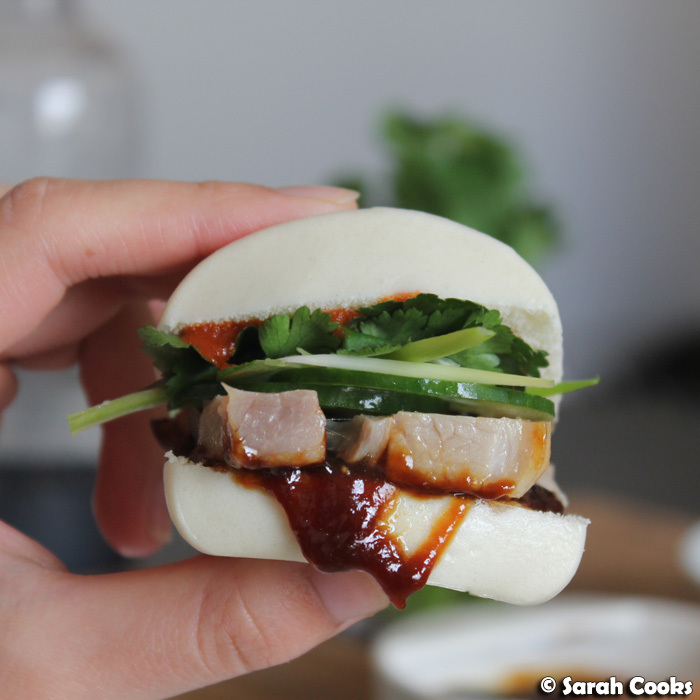 When we were done with the pork belly buns, I got up and finished assembling and stir-frying the remaining dishes, which, thanks to my pre-prep, didn't take much time at all. 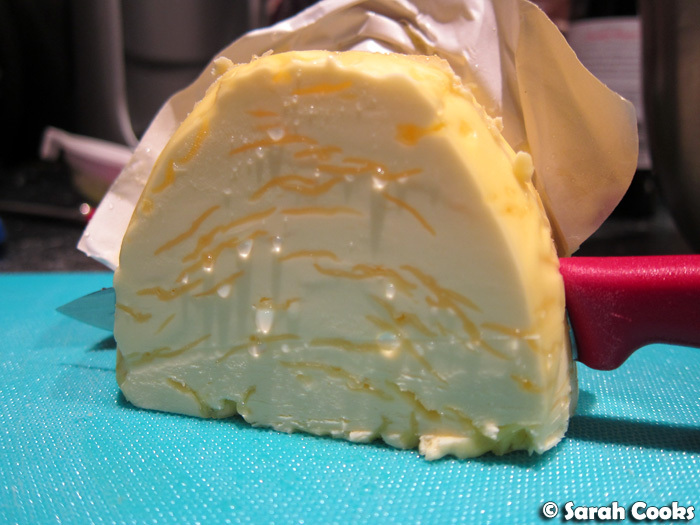 This is a classic recipe, and there were loads of versions of it online. I adapted a few different sources to suit my tastes, and there it was. 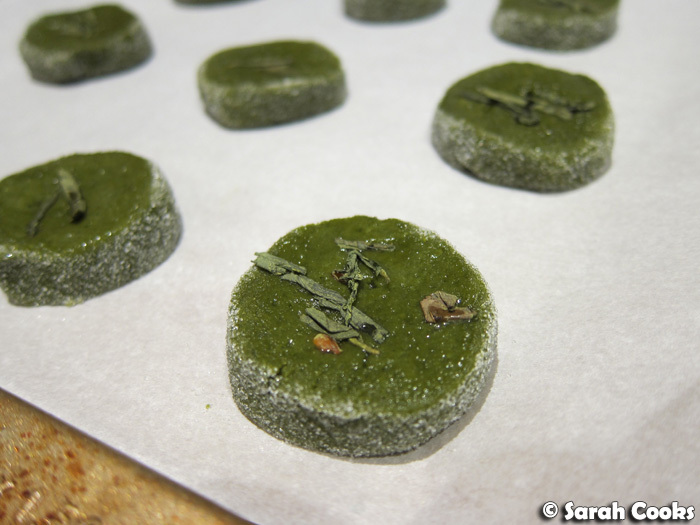 I'm going to blog it in more detail soon, with my full version of the recipe! It's so easy, literally open a packet of tofu, and top it with shallots, century egg, some different sauces and coriander. Ta-dah! 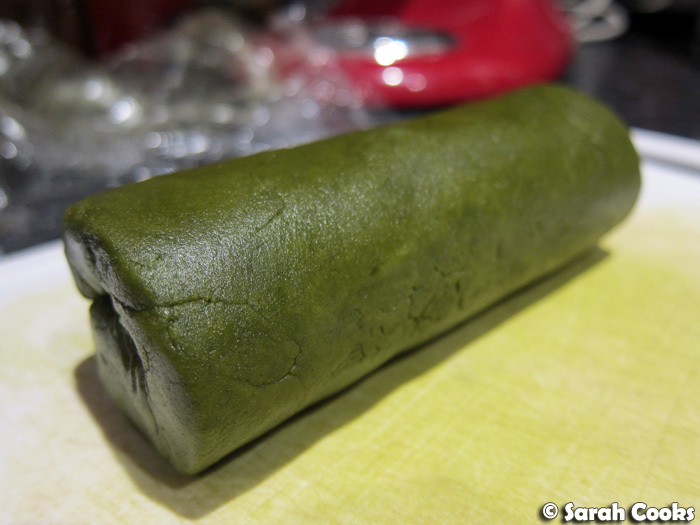 I made this with my tofu-loving guest Anna in mind, and she said she loved it - success!! 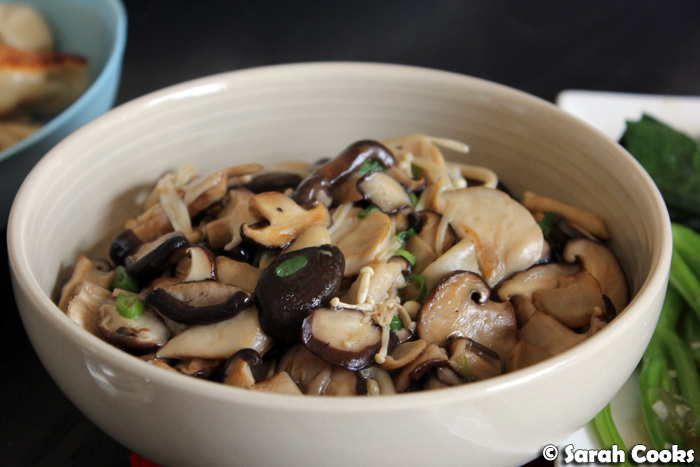 Same dealio as last time, but I used more shiitake and enoki mushrooms and less of the others because they are my favourite of all the exotic Asian mushrooms. They were stir-fried in a little pork fat (taken from the pork belly), and I also added a little spring onion for garnish / flavour - an idea I got from a different mushroom stir-fry recipe in Every Grain of Rice. 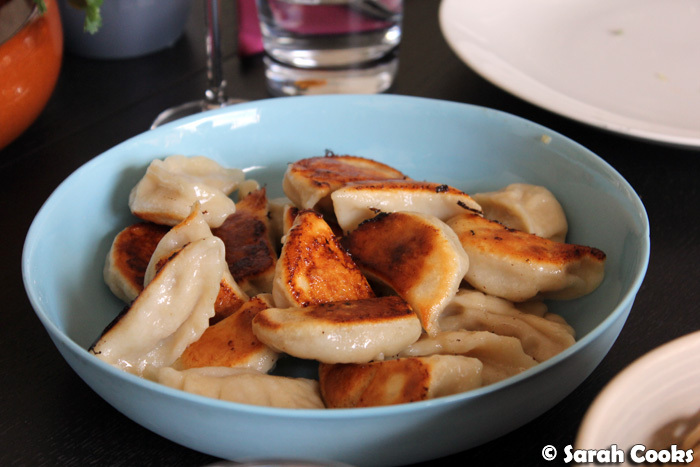 These are the same dumplings as I mentioned in my previous post, but here I thought I'd show you them in more detail. 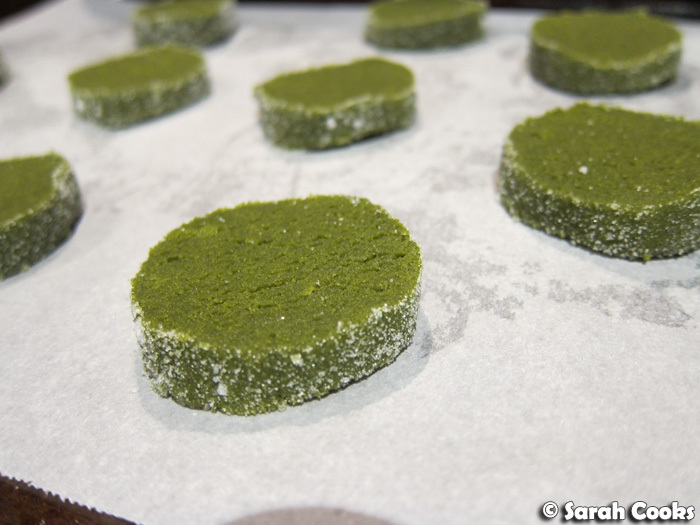 I actually made them earlier in the week, and stashed them away in the freezer - they're fiddly to prepare, but very easy to cook from frozen. The filling has a little chicken stock added to it, which I think makes the final product juicier and more moist. 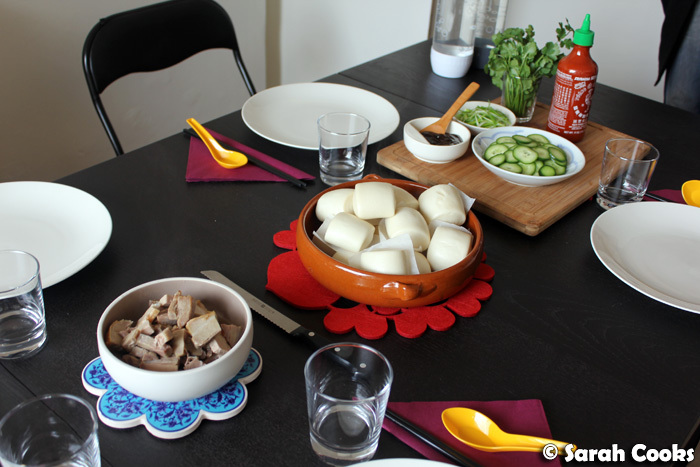 (Like xiao long bao but not quite as saucy). 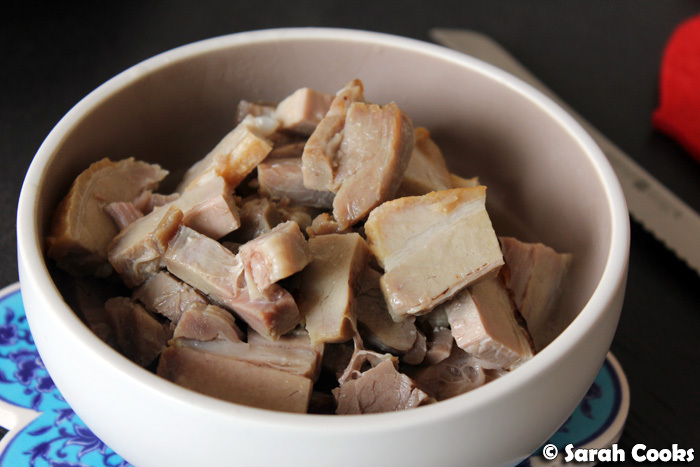 If you've got a good jellied meat or chicken stock, this would be the time to use it. I thought my folding technique was pretty good (and definitely improved from previous attempts), but the pics in Every Grain of Rice put me to shame! 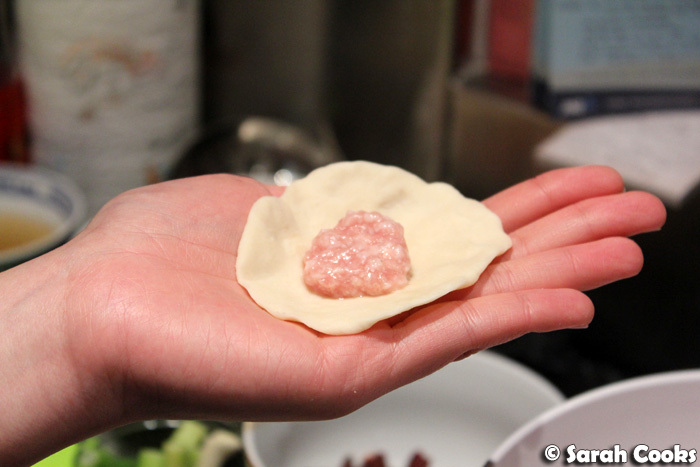 There are so many tiny, perfect little pleats on Fuchsia Dunlop's dumplings. 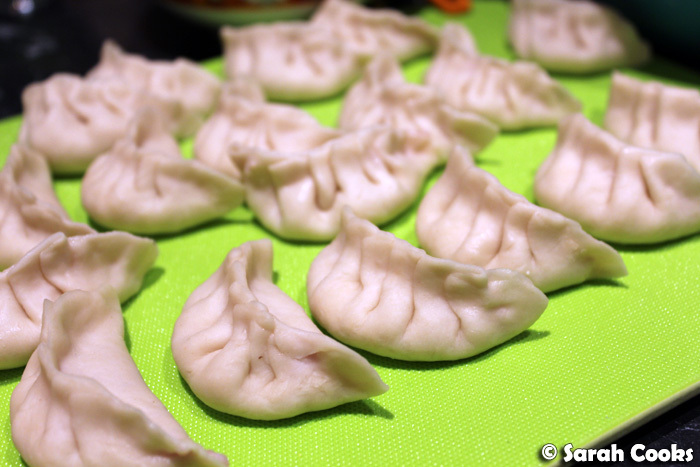 I also can't seem to fit too much filling in each dumpling, and had about half the filling leftover by the time I'd gotten through the dough. More practice needed! I had originally intended to stir fry the gai laan in chilli and Sichuan pepper, which is my usual treatment for green veggies, but there was a gai laan recipe in Every Grain of Rice that looked too good to pass up - very restaurant style! 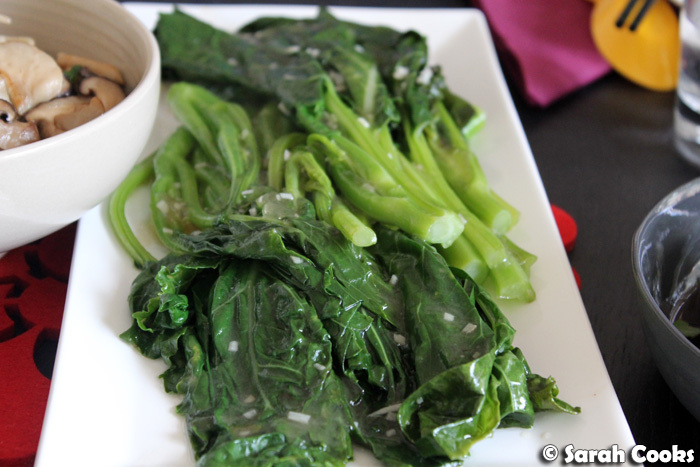 It was the "Chinese broccoli in ginger sauce", but I replaced the ginger with the much tastier garlic. I felt it was the right treatment for such a beautiful bunch of gai laan. 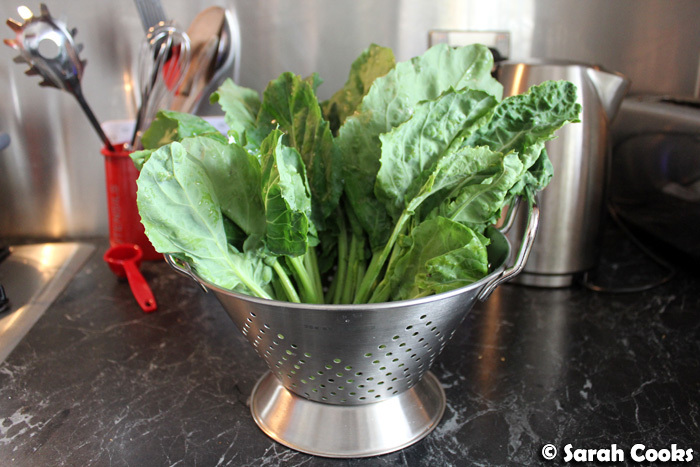 I always used to struggle to cook Chinese greens at home, but there were a few tips in the recipe that made it extra tasty. 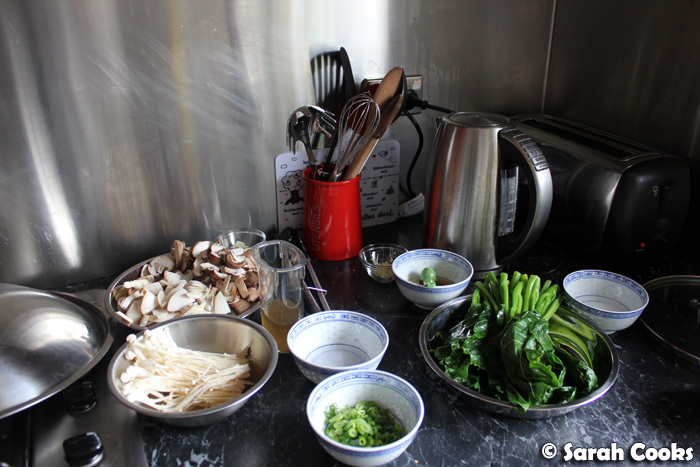 First, you boil the gai laan for one-to-two minutes in water with lots of salt and oil - this bunch needed 2.5 litres of water, and a tablespoon each of oil and salt. 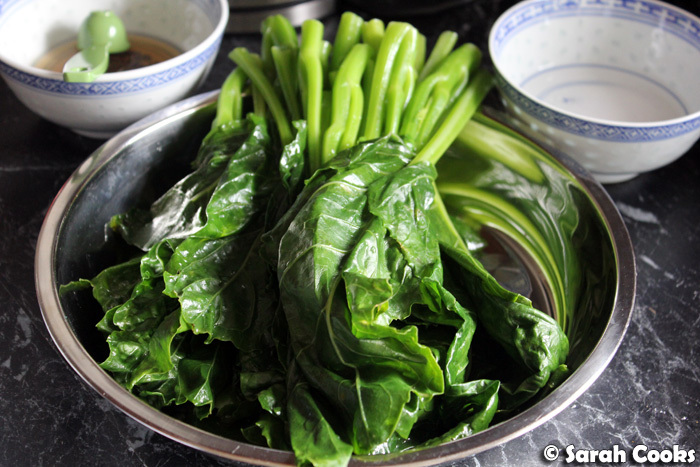 It made the boiled gai laan so bright and glossy! To be honest, I'd have been happy to eat the gai laan like that, just drizzled with a little oyster sauce, but the sauce in the recipe is pretty delicious too, and definitely worth the extra effort of stir-frying the gai laan in it. 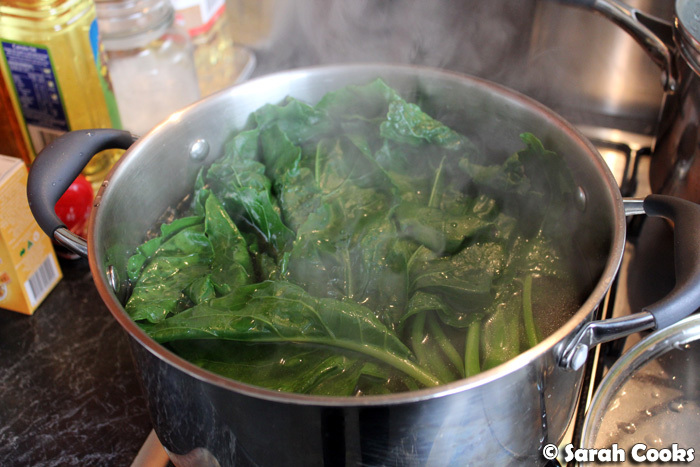 The glossy coat comes from thickening the sauce with a little potato flour. 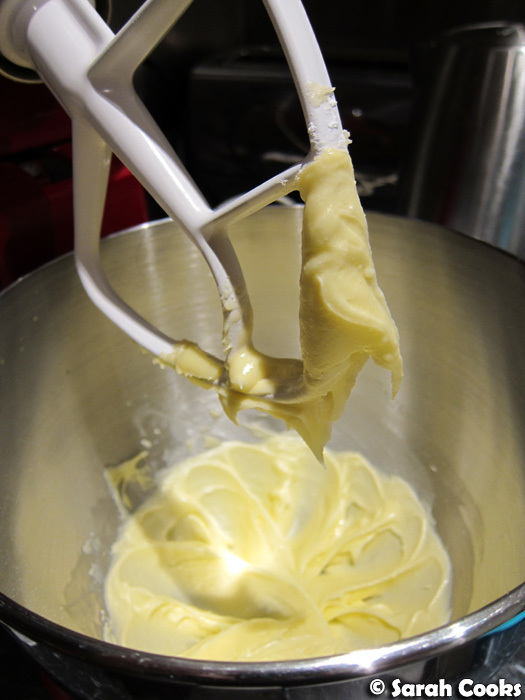 (Thanks to these Fuchsia Dunlop recipes, I've come to realise that potato flour is way better for thickening sauces than cornflour - you need much less and it thickens much faster). The table was very crowded that day! Not a very Chinese dessert (apart from the peanut brittle, I guess), but people seem to love salted caramel right now, and we always order the caramel chocolate and peanut parfait when we go to Spice Temple, so I associate this type of dessert with this type of food. 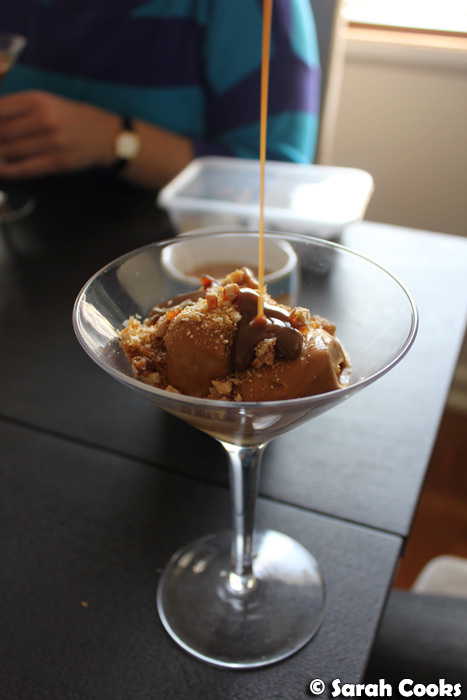 Both the ice-cream and candied peanut recipes come from David Lebovitz' (available on his blog), and the peanut butter fudge sauce is none other than Nigella's (from Nigella Express). ...and here comes the sauce. 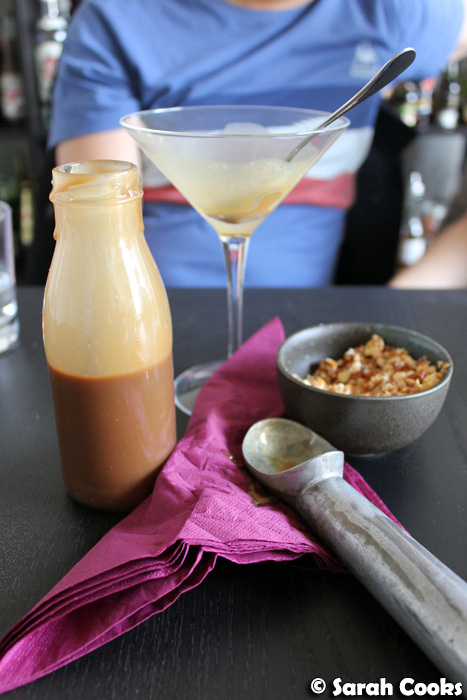 Woah... it was a big creamy salted caramel overload! I think perhaps this would have been better with plain vanilla ice-cream, but that didn't stop me from polishing off my whole portion... and sneaking back for a little extra sauce!